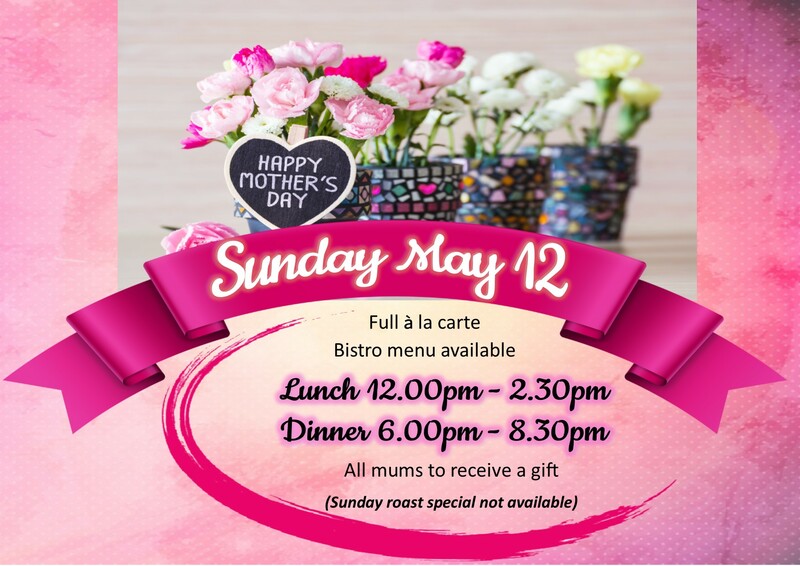 Book now for Mother’s Day. Terrace Bistro is open for lunch 12.00pm – 2.30pm and dinner 6.00pm – 8.30pm. All mums will receive a gift.